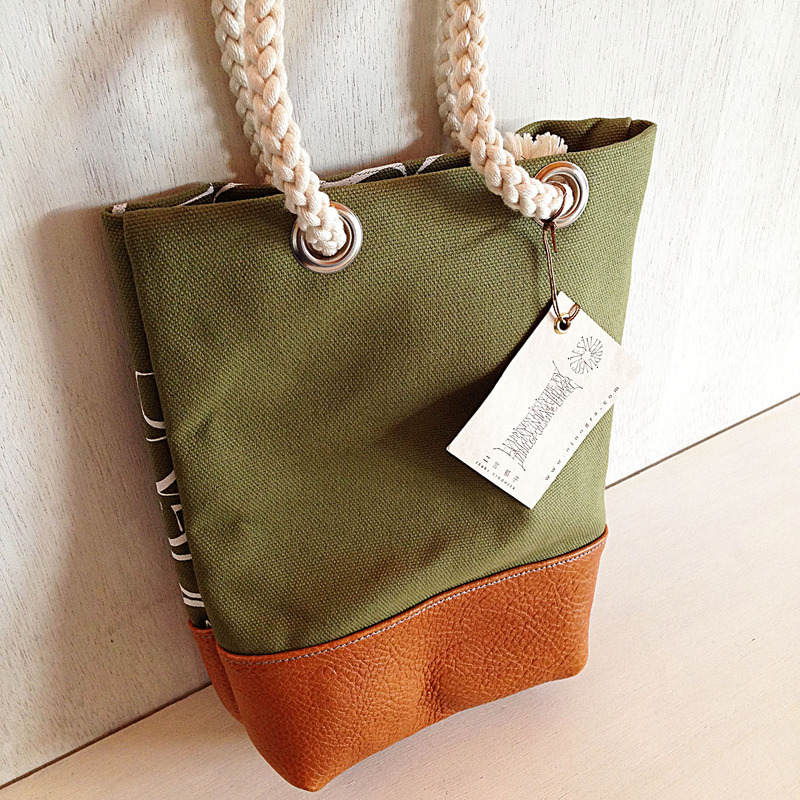 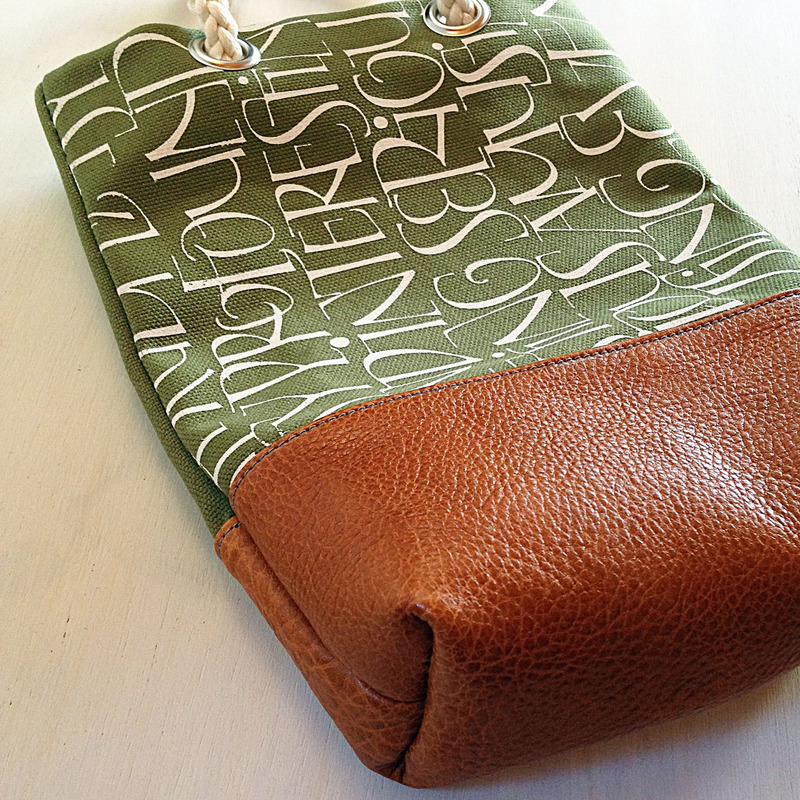 This lovely bag is made of real leather and canvas and it is very light and convenient. 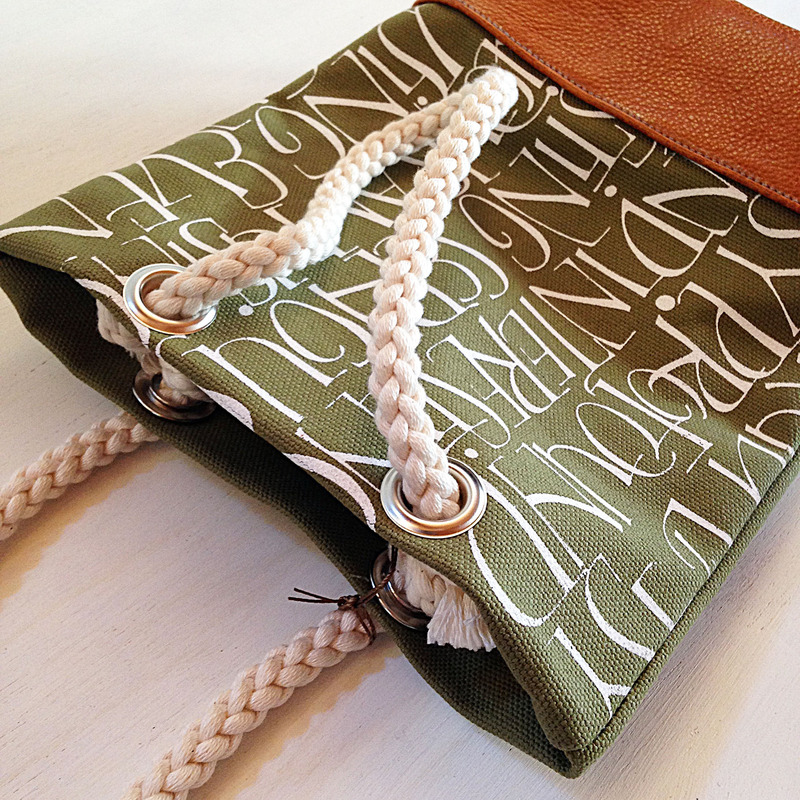 You can use it for a small bag in your big bag. 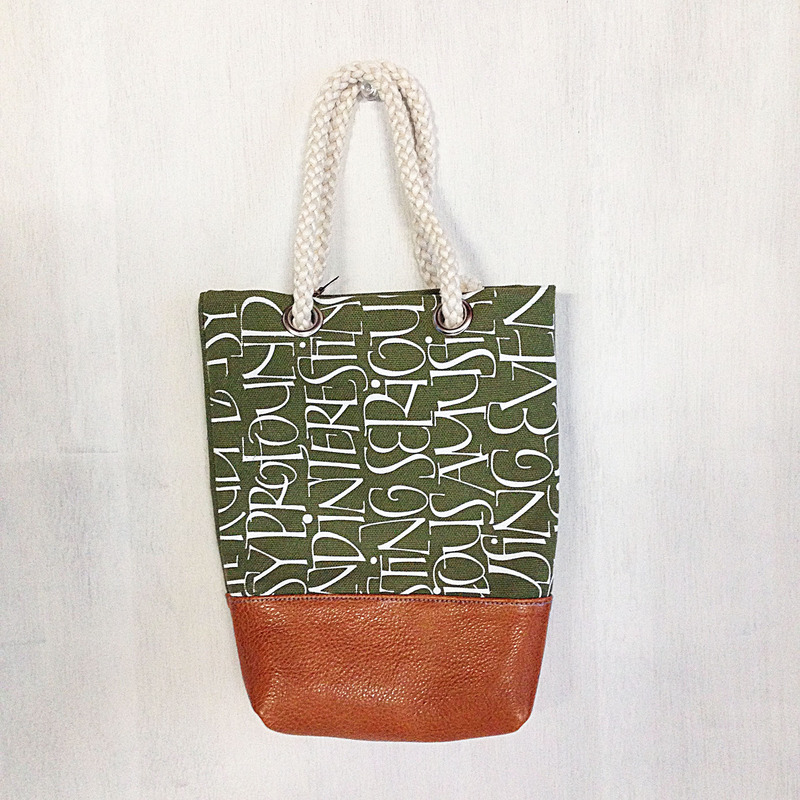 The alphabet pattern did silk-screen printing on the canvas is designed by myself.